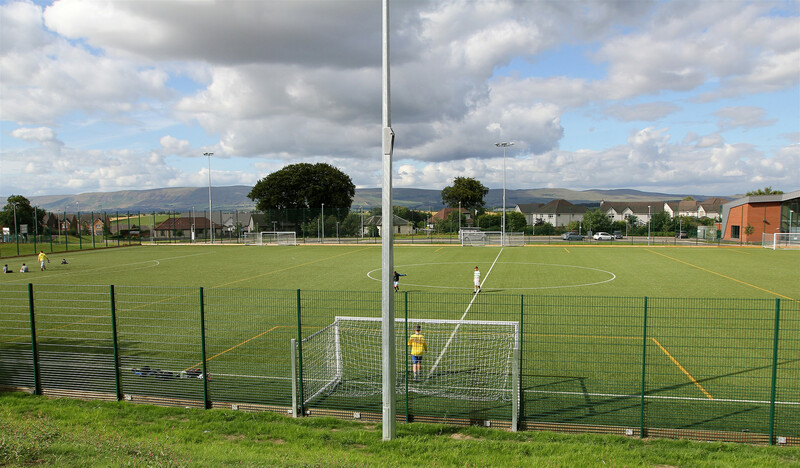 As part of the new school build project, Chryston High School wanted to build a zero-discharge sports pitch in an area suffering from overcrowding, meaning the pitch required an innovative space saving drainage design. 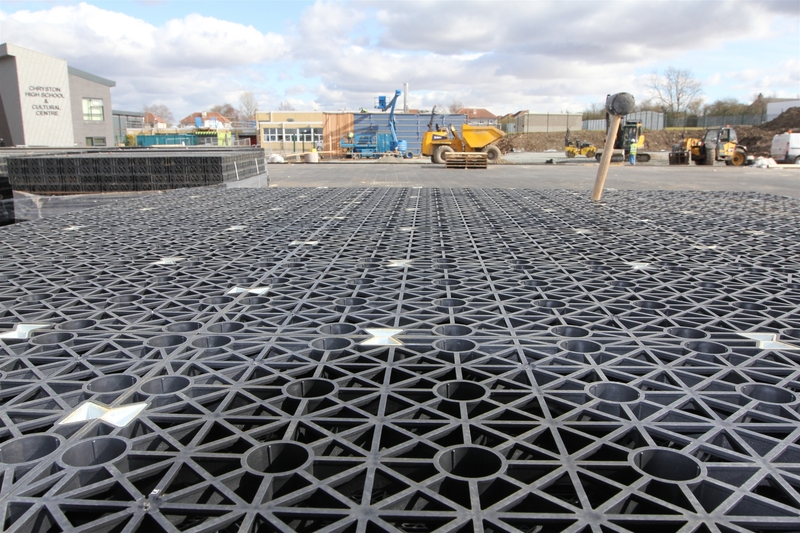 The design comprised of a single layer raft of Permavoid 85mm units, which is a replacement for the traditional pitch subbase, and enables water to drain from the surface completely unimpeded into the high capacity subbase layer. 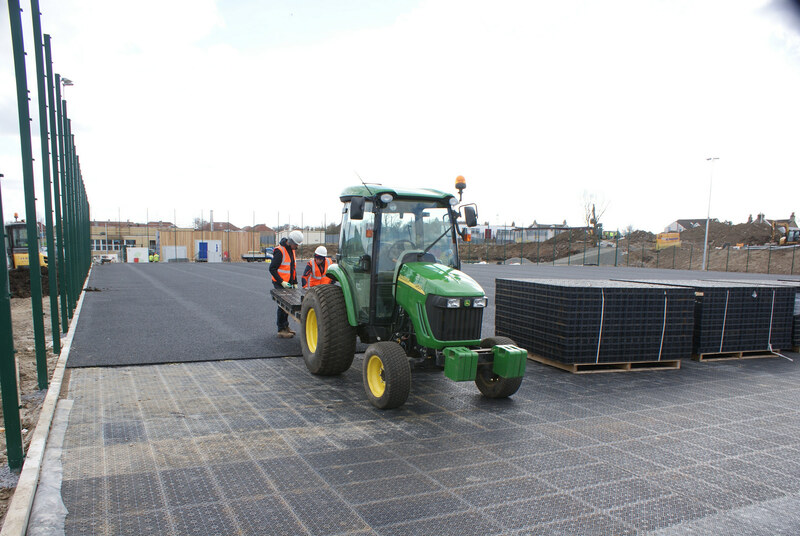 The Permavoid blanket drainage system was the perfect space saving drainage solution as it allowed large quantities of water to be stored within a shallow pitch construction. This particular system allowed the client to store up to 320 litres of rainwater per square meter, within the pitch subbase, thus eliminating the need for separate rainwater attenuation tanks. Soccer Turf 40M synthetic grass was the selected surface as it supports the school’s requirement to play hockey and football on the turf. A six mast floodlighting system was installed, enabling the sports facility to be used during the evening and winter months. 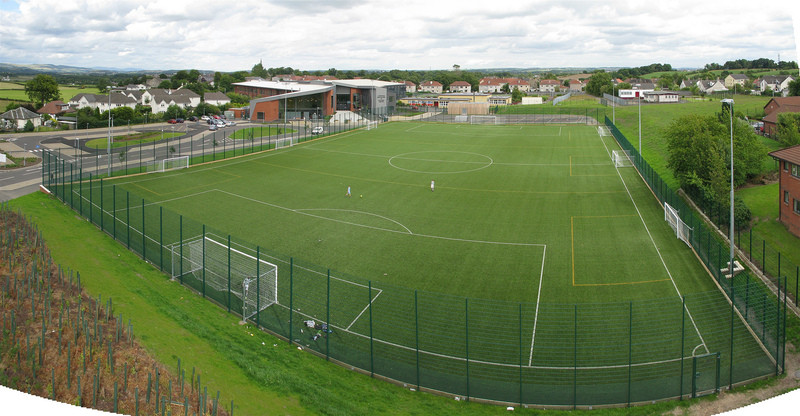 The Scheme As part of the new school build project, Chryston High School wanted to build a zero-discharge sports pitch in an area suffering from overcrowding, meaning the pitch required an innovative space saving drainage design. The Solution The design comprised of a single layer raft of Permavoid 85mm units, which is a replacement for the traditional pitch subbase, and enables water to drain from the surface completely unimpeded into the high capacity subbase layer. The Permavoid blanket drainage system was the perfect space saving drainage solution as it allowed large quantities of water to be stored within a shallow pitch construction. This particular system allowed the client to store up to 320 litres of rainwater per square meter, within the pitch subbase, thus eliminating the need for separate rainwater attenuation tanks. 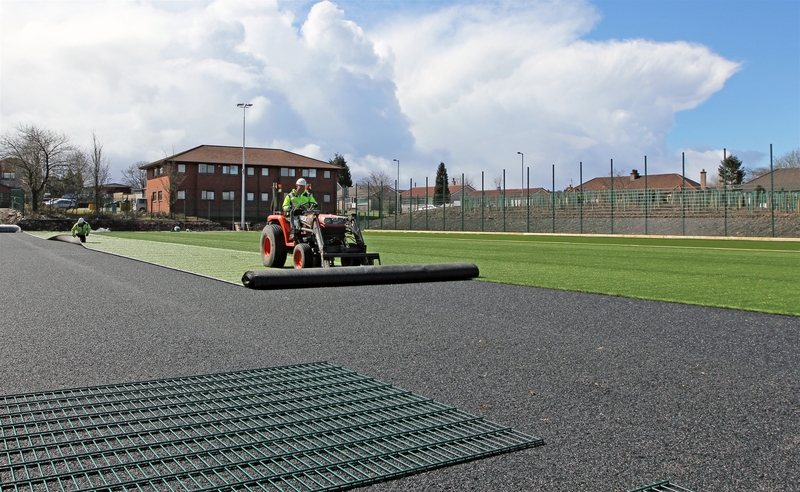 A wet pour permeable shockpad was installed on top of the Permavoid layer, which protected the Permavoid units from point loading whilst also providing a degree of comfort to the user, cushioning the impact on joints/muscles and prolonging the life of the synthetic turf carpet. Soccer Turf 40M synthetic grass was the selected surface as it supports the school’s requirement to play hockey and football on the turf. A six mast floodlighting system was installed, enabling the sports facility to be used during the evening and winter months.